The festival program offers: 65 live lectures or unique films at 5 projection halls, 5 photo-courses, 10 stalls with exotic cuisine as part of the Exotic Food Court, 10 dancing performances and many more. More information at: www.kolemsveta.cz and at Facebooku. 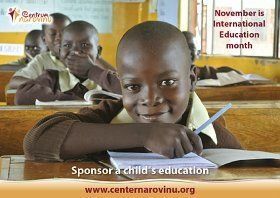 Narovinu Centre will participate with its Fair stall – during the whole weekend you will be able to buy Christmas presents with their own story and thus support children from the community centre of Island of Hope at Rusinga Island, Kenya. We look forward to meeting you. More information at: www.centernarovinu.org/fair-trade-shop.